Superintendents and board of education members from multiple districts have publicly stated their opposition to the bills, based on concerns about their effects on educational outcomes. Municipal leaders have also voiced concerns about the potential economic impact should any one of these bills become law. S.B. 457 was introduced by State Senators Bob Duff (D-Norwalk) and Cathy Osten (D-Sprague) and would require any school district with a student population of fewer than two thousand students either to merge with a new or existing school district or lose its state funding. S.B. 738 was introduced by State Senate Pro Tempore Martin Looney (D-New Haven) and would require school districts in municipalities with a population under 40,000 to consolidate, using the current probate court districts as a model. 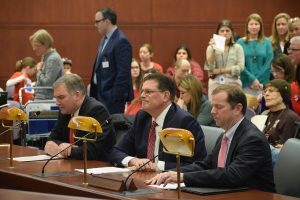 If this bill passes, it would go into effect for the school year commencing on July 1, 2021, with or without legislative approval. Gov. Lamont’s bill, S.B. 874, was introduced as part of his biennial budget proposal. It would require a statewide plan for school “redistricting and consolidation” to be developed by a commission of appointees and delivered two years from now, leaving the door open for mandatory regionalization and uncertainty. Smaller districts refusing to share superintendents would face loss of state funding. 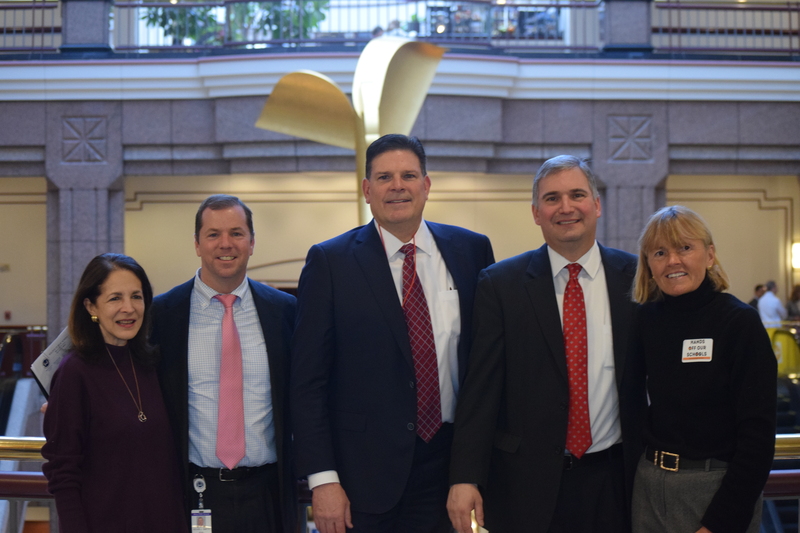 Rep. O’Dea testified with Bryan Luizzi, superintendent for New Canaan, and Kevin Smith, Superintendent for Wilton.